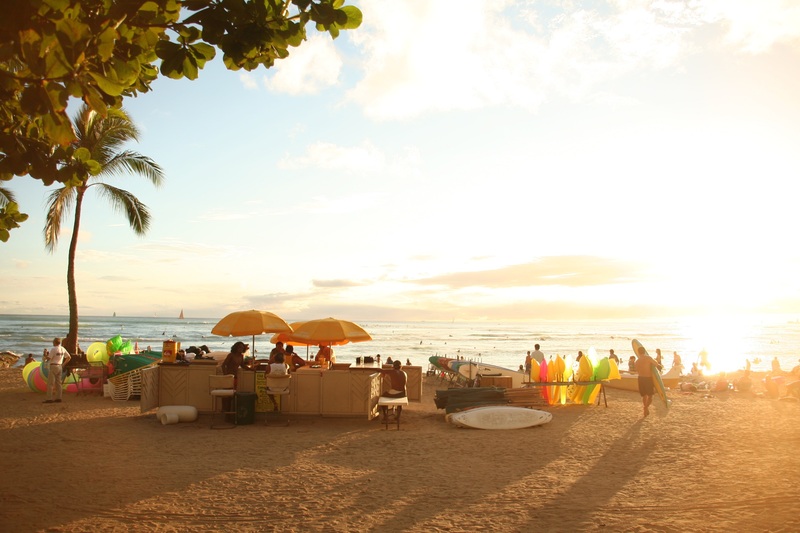 Are you looking for some summer festivals and activities to try on your 2016 Oahu vacation? This year – like every year – Hawaii has a number of great festivals, events, and activities going on. From music festivals to cultural events to art showcases, you’ll have a hard time deciding when to schedule your trip. If you’re in Honolulu at the beginning of July, make sure you block off the evening of July 2nd to check out the Mo’ili’ili Summer Fest. The festival is a collaboration between a number of Honolulu’s oldest neighborhoods. It celebrates the history and cultural diversity of the Mo’ili’ili community. This festival is famous for holding Hawaii’s largest Obon dance, which is a traditional Japanese dance. In addition to the main dance, attendees can participate in cultural activities, enjoy great food, and listen to live music. Photos, a schedule of events, and more information can be found at the festival home page. This year’s annual Korean Festival celebrates Korean culture and raises awareness through food, song, dance, and activities. It will be held July 11th on Magic Island, or Ala Moana Park, in Honolulu. This is only a short walk from Waikiki and other Honolulu neighborhoods, so it is convenient for anyone staying in the city. For more information about the event, visit the Korean Festival’s home page. Haei’wa, a historic town located in the North Shore of Oahu, will be holding its 19th annual arts festival this July. On the 16th and the 17th, you’ll have the opportunity to browse and buy art created by some of the best local artists in Oahu. Expect to see a variety of visual arts, from painting to chalk art to performing art to children’s petroglyphs. In addition to this festival, the organization behind the festival contributes to the community at large. They enhance public awareness, offer classes, promote education, and more. For more information about the event, visit its website. For a truly Hawaiian experience, make sure you stop by the Prince Lot Hula Festival. This festival, also held on the 16th and the 17th of July, celebrates the traditional art of the hula dance. It will be held at the Moanalua Gardens in Honolulu during the daytime. Like previous years’ events, this 39th annual hula festival will be the largest non-competitive hula dance on the islands. This event celebrates Prince Lot – who reigned as King Kamehameha V in the 1800s – and his preservation of Hawaiian culture, particularly the hula dance. For more information about this event, visit the Moanalua Gardens Foundation website. For more information about activities and events to try on your 2016 Oahu vacation, visit Hawaii Discount’s travel blog. Hawaii Discount offers the biggest selection of Oahu travel activities and Oahu sightseeing tours. Be sure to book your tours early, since activities fill up fast. Book your tour now by visiting HawaiiDiscount.com.